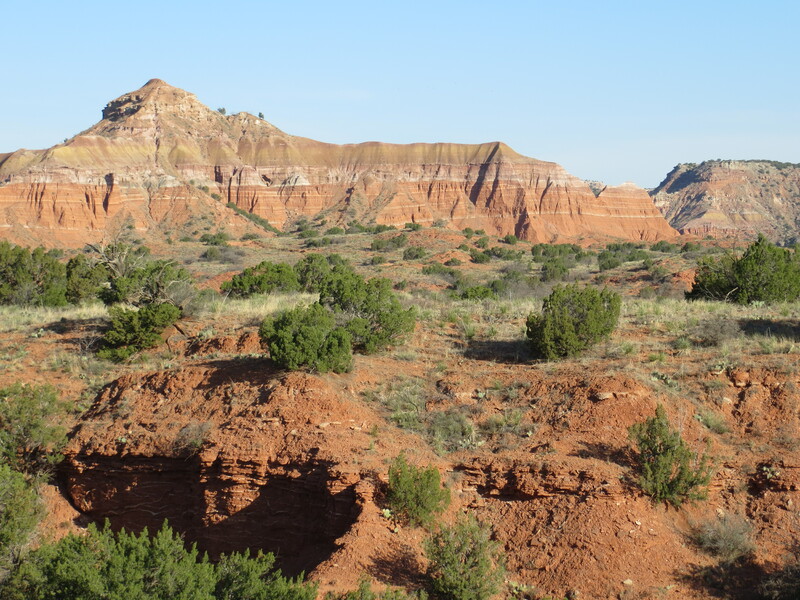 We spent last night near Amarillo in the “Grand Canyon of Texas”, which is 120 miles long and 800 feet deep and is the second largest canyon in the United States. 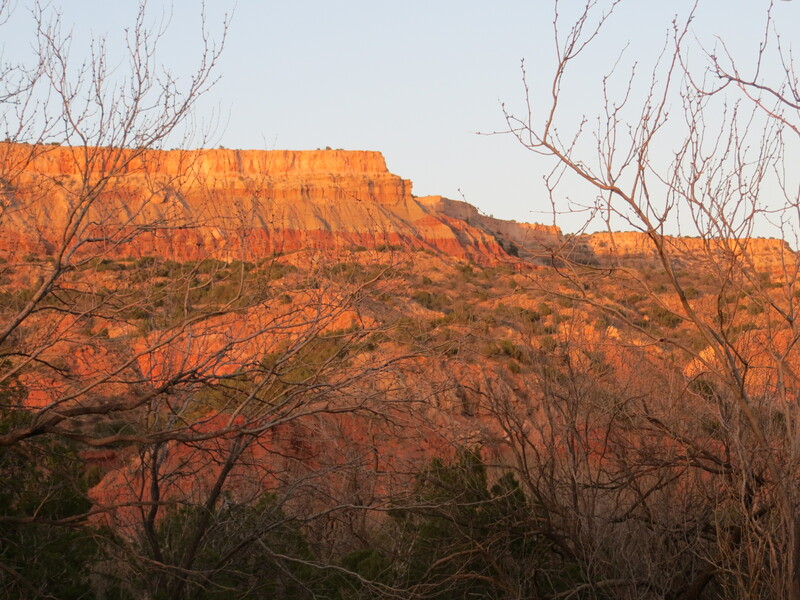 There are many campgrounds inside the park and all of them are at the bottom of the canyon, a pretty steep drop down into the park (and a good workout for Trixie getting back out this morning). 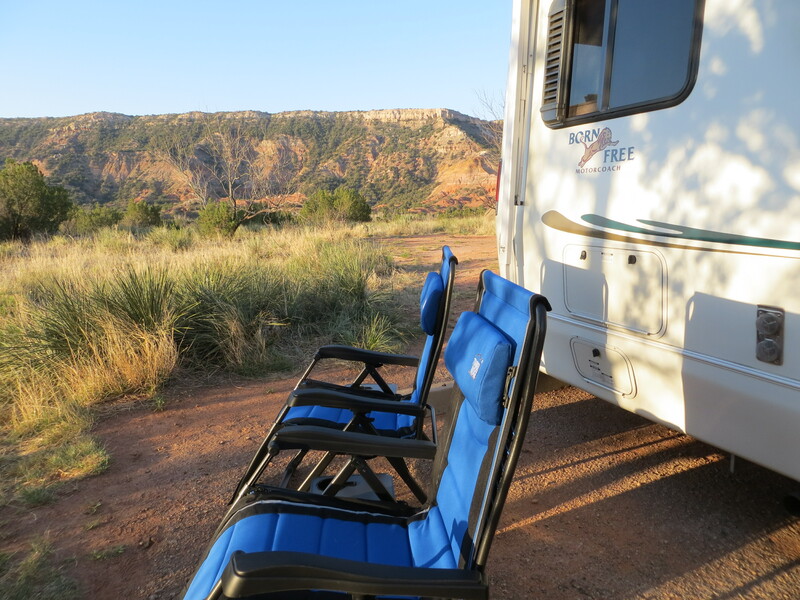 We chose a campground at the back of the canyon that was the most picturesque, surrounded by the rock formations of bright red claystone and white gypsum. It was extremely hot, dry and windy on our trip NW to Amarillo and when we checked in at the ranger station at the top of the canyon it was 89 F. By the time we got into the canyon it was 92 F and we were wondering if we had made a huge mistake and even though we had hook-ups, it was still really hot. As the evening progressed, it started cooling off and the stars were awesome. 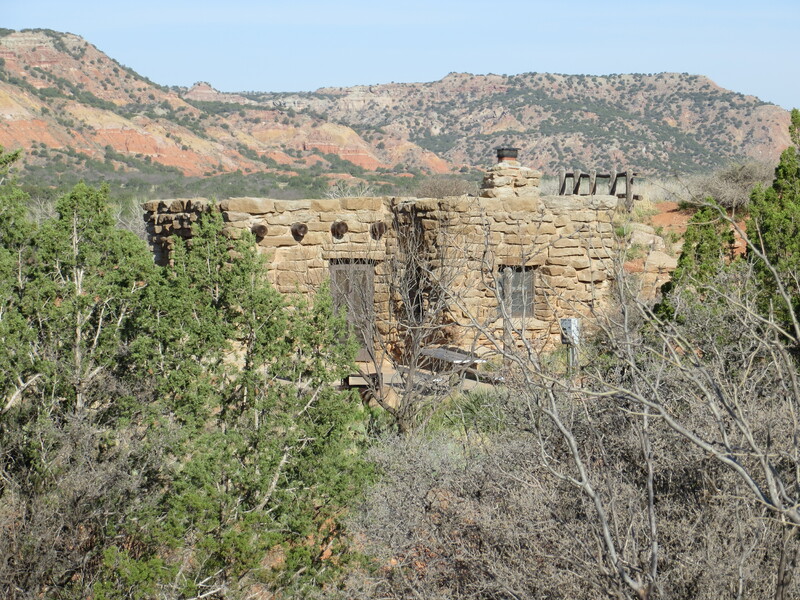 We were able to sleep with the windows open as the temps dropped into the 60’s and we heard the yips of coyotes far off in the distant canyon. WOW!!! that all looks amazing. it must have been really funny to see laia trying to figure out the prairie dog holes. looks like you guys are having the time of your life. but watch out for the snow!! Yes! She was having quite a time looking down those holes. It was great fun to watch! We managed to dodge the snow, but not the cold. Hi 20’s last night and tonight. It feels great though! You guys RULE!!!! I finally got to your blog to catch up. You are certainly doing this whole retirement thing correctly!!! I am soooooo happy for you two kids–and your little dog too!!!! Thanks Dude! We’ll see you on the road! Great shots. Love the one of the chairs. Hey, I’ve been there! 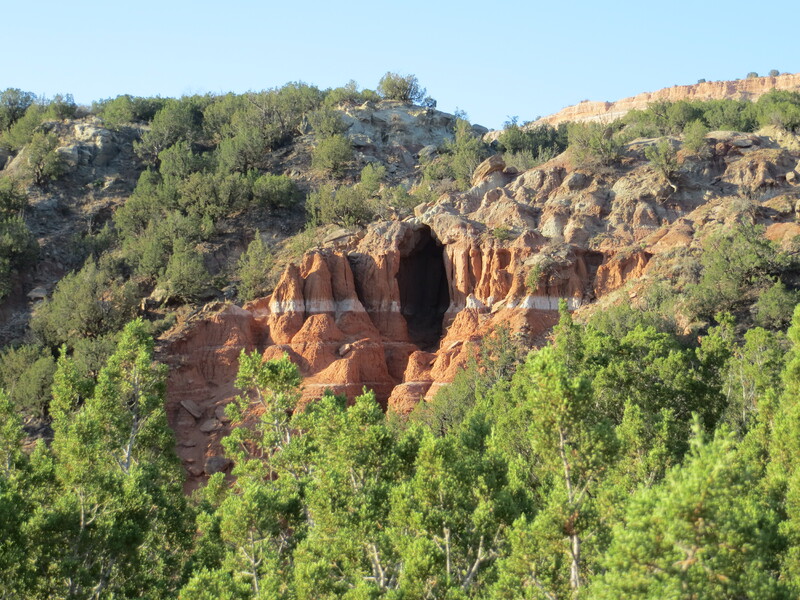 My grandma lived and is buried in Canyon. Nice country, just watch for rattlesnakes! We were looking for them and thankfully didn’t see any. Haven’t seen any yet and hope we never do.